Intermittent fasting for general wellbeing and weight loss may seem like a relatively recent dietary trend. However, the origin of intermittent fasting can be traced back to our hunter-gatherer ancestors, when a successful hunt was a time for feasting, and an unsuccessful one resulted in hunger or a period of fasting. Several hundred indigenous hunter-gatherer tribes remain in the Amazon forests, the African grasslands, the Arctic tundra and the remote islands of Southeast Asia. Their diets still consist of what they hunt or gather: game, fish, honey, and plant foods, such as tubers, berries, nuts, and fruit, and in most cases very little cultivated food. Studies of the Tsimane people, a forager-horticulturalist indigenous population of the Bolivian Amazon, reveal highly diverse microbiomes, the lowest levels of vascular aging for any population, and low levels of atherosclerosis and heart disease, likely associated with their low blood pressure, blood sugar and LDL cholesterol levels. Perhaps it’s healthier to eat more sparingly, as our bodies are adapted to alternating phases of food abundance or scarcity. We would likely all be better off if we ate local fruits and vegetables, a little meat, fish and some whole grains, and were physically active for an hour or more a day. With the advent of bountiful agriculture and animal farming, the food supply became predictable and abundant, eventually leading to our current unhealthy highly processed modern diet. Today, food is continually available, and overeating is the norm. With the rising epidemic of obesity, diabetes and other diet related diseases, some wonder if we gave up a healthier diet, and consequently healthier bodies, in exchange for food security. In addition to a healthy varied diet, what if we were to skip a few meals each week, or fast every other day, or shorten the hours in which we consume food? Would we be stronger, leaner, healthier and more energetic? Animal studies have shown that reducing typical caloric consumption extends life span by a third or more. While the jury is still out on whether reduced intake will increase human lifespan, data supports the idea that caloric restriction supports healthy weight maintenance, reduces the risk of developing age-related chronic and degenerative conditions, and lengthens the period of life spent in good health. Mark Mattson, head of the National Institute on Aging’s neuroscience laboratory believes that “intermittent fasting acts in part as a form of mild stress that continually revs up cellular defenses against molecular damage,” and ramps up our cellular detoxification system that rids the body of damaged molecules previously tied to Alzheimer’s, Parkinson’s and other neurological diseases. While not everyone agrees, researchers are focusing on intermittent fasting as a promising alternative to continuous caloric restriction for both weight loss and health promotion. The 16/8 method involves restricting your eating window to 8 – 10 hours and fasting for 14 – 16 hours daily. Hours can be flexible, but it basically means not eating until noon each day and finishing the last meal by 8 pm. Those who already skip breakfast may find this an effortless way to lose weight, as long as healthy foods are consumed during the eating hours. Those who are hungry first thing in the morning may initially find this method difficult. The 5:2 diet involves eating normally five days a week and consuming two small meals totaling 500 -600 calories on two days of the week. This method may be more sustainable for long-term weight management. 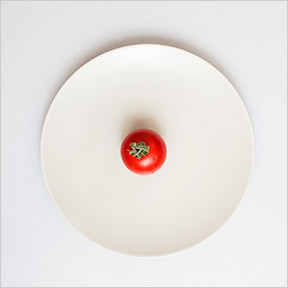 Some choose the alternate day fasting method, which allows only 500 calories every other day. This is likely too restrictive and unsustainable long-term for most people. The warrior method allows small amounts of vegetables and fruits to be eaten during the day and the consumption one large meal at night. With this method, paleo foods are preferred. Spontaneous meal skipping is the least structured fasting plan where meals are skipped from time to time, essentially when one is not that hungry, can’t really decide what they feel like eating, or when stopping to eat is inconvenient. This method is basically effortless, but not the most effective for weight loss. What happens when you fast? The body initiates important cellular repair processes, the metabolic rate increases, and insulin levels drop significantly, facilitating fat burning and weight loss. Lower insulin levels, higher growth hormone levels, and increased amounts of norepinephrine all enhance the breakdown of body fat, enabling its use for energy production. Fasting may also enhance the body’s resistance to oxidative stress and may help fight health damaging inflammation. While intermittent fasting can be a powerful weight loss tool, food quality is crucial. While some tout binging during the eating windows, to lose weight and improve health, a healthy whole food diet is necessary. In conclusion, intermittent fasting may be a reasonable alternative dietary strategy for those who find the more traditional daily caloric restriction difficult or time consuming.